Good strength with a smooth writing surface. 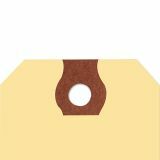 The barrel shaped patch is welded onto each tag to give extra strength where it is needed. Strung tags feature 12-inches of looped, #9 twine; double-wired tags feature 12-inches of 26-gauge wire (available unstrung, strung or wired). Note: A minimum quantity of 4 must be ordered, and in units of 1 thereafter. 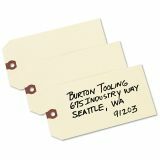 Avery Unstrung Shipping Tags, 13-pt. 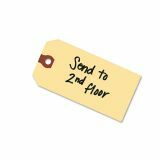 Stock, 6 1/4 x 3 1/8, Manila, 1,000/Box - General purpose shipping tags are made of 13 point, 100 percent chemical wood pulp stock. Each provides a smooth writing surface and a reinforced eyelet. 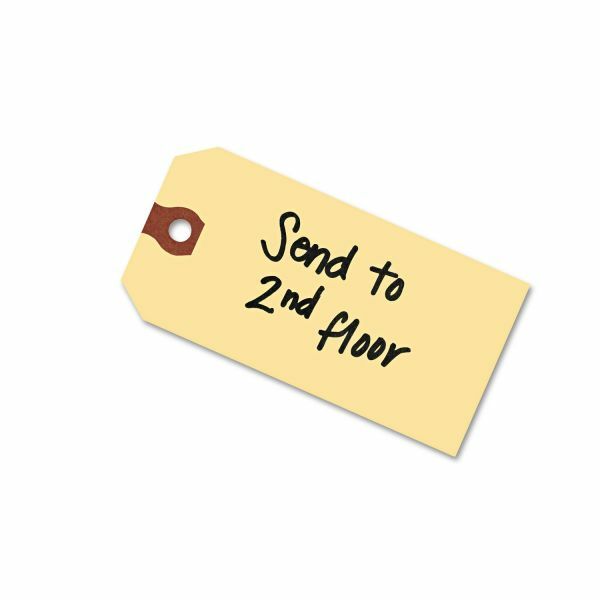 Attach the tag with wire or string (sold separately) to ensure it stays securely bound to the item it represents. 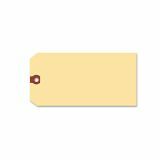 Each tag features a reinforced hole for extra strength to allow the wire to hold the tag firmly without ripping through the cardstock.